Obituary for David Ray Thomas | Genesis Funeral Services & Chapel Inc.
Spartanburg - David Ray Thomas age 69 of 771 Jerusalem Road Pacolet, SC, peacefully transitioned Friday, April 12, 2019 at Spartanburg Hospital for Restorative Care. Son of the late Jessie (Jack) Brown and Annie Mae Thomas. He was a native of Cherokee County. He attended Granard High School, Gaffney, SC. He worked at Mettler Toledo Scales, Inman, SC. He was a member of The M.W. Prince Hall Grand Lodge of Free and Accepted Masons of the state of South Carolina. He was preceded in death by his parents, one sister, Jerlene Jeter, his in-laws, Mr. Samuel and Mrs. Carrie Harrison, his grandmother, Miss Lillie Bell Thomas. 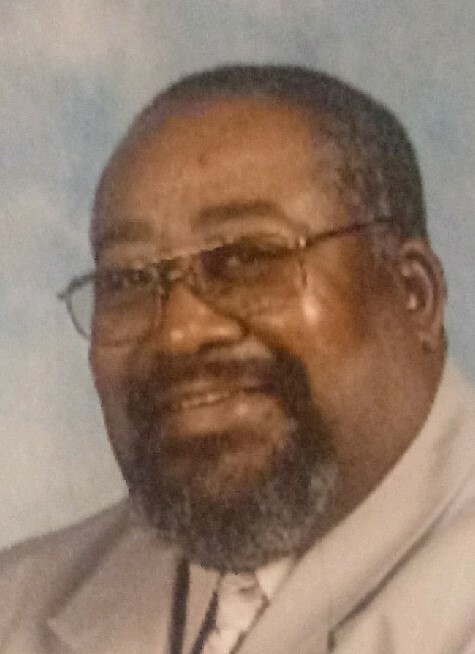 Deacon David R. Thomas leaves to cherish fond and loving memories, his loving wife, Mrs. Annie Mae Thomas, two sons, Marlon Davis (Lisa) of Spartanburg, SC, Andre Thomas (Amilia) of Inman, SC. One daughter, Anneka Thomas of Spartanburg, SC. Nine grandchildren, two of whom were raised in the home, Ariana Thomas and Phay' Leanne Wyatt, Marlon LeShawn Davis, Iesha Fergerson, Brittany Geatter, Jordan Thomas, Amaya Jaikaran, Ava Thomas, K'Myia Stevenson, a adopted mother, Mrs. Cleo Huskey. Three brothers, James Thomas (Ruth), Lee-Arthur Brown, Jessie Brown Jr.
Four sisters, Corrine Davis (Thomas) of Gaffney, SC, Fannie Jeter (Curtis) 0f Spartanburg, SC, Patricia Fowler and Rosalind Foster both of Spartanburg, SC.